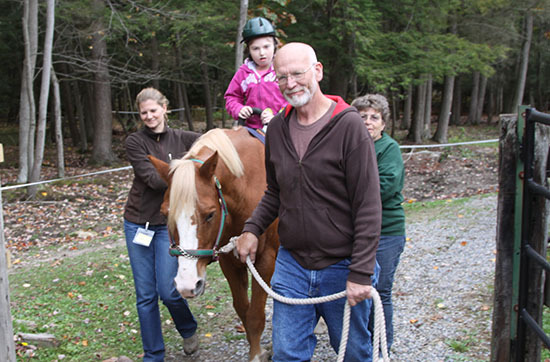 SunnyBrook Meadows is excited to be offering our very first Therapeutic Horsemanship Camp, with an emphasis on the Autism population, August 7-11th, 2017! Stay tuned for sign up information and further details! Thanks to all who volunteered, participated, and visited during our Family Fun Day. 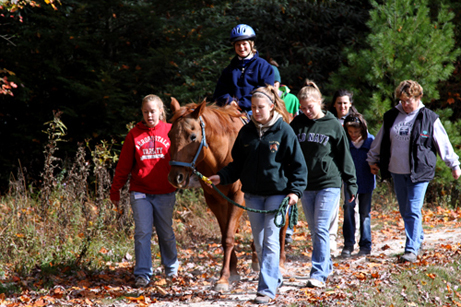 There was a student horse show, live music, pony rides, and free activities. Hope to see everyone and their families next year! Happy anniversary to our dedicated team members through the last two decades, as we celebrated 20 years of operation at our annual fall Ride-a-Thon on September 28, 2013. Thanks to all those who attended! Thank you to our Raise the Region participants! Thanks to all who donated during the March 12 online donation event! Welcome new Board Members and Volunteer Coordinator!